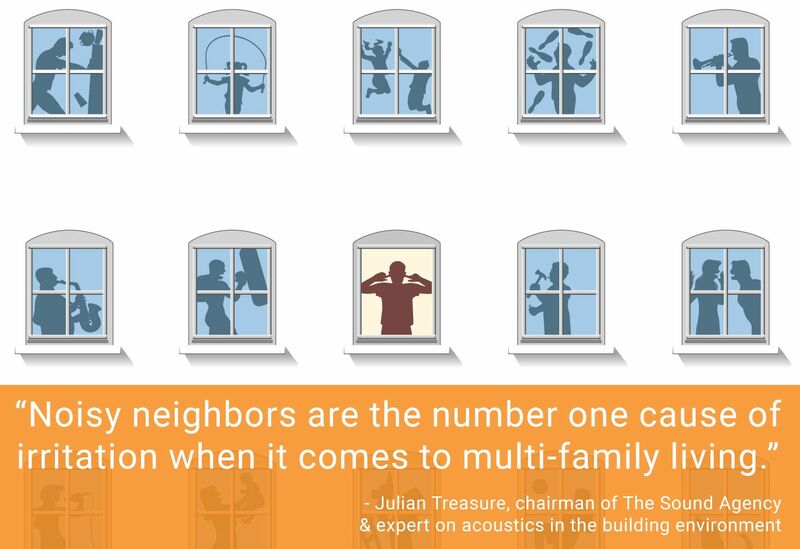 In multi-family dwellings such as condos, apartments, and hotels, sound control is paramount to quality of life. • For residents, a sound proofed multi-unit building ensures a sense of privacy, while preventing the hustle and bustle of their surroundings from intruding into their personal space. • Builders must also maintain sound control as a priority in construction, thus avoiding litigation costs due to inadequate construction, and minimizing remedial costs for retrofitting a sound solution after the building is occupied. • Commercial property owners are all too familiar with complaints concerning noise, and must ensure appropriate measures are taken to ensure customer satisfaction, and in turn, maintain their own reputation. 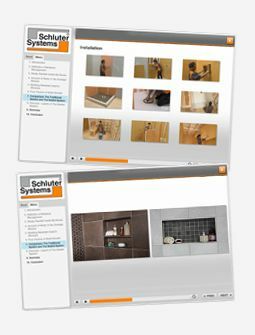 Schluter®-DITRA-HEAT-DUO is a multi-functional tile underlayment. It provides the essential functions to protect the integrity of a tile floor assembly while integrating sound control and a thermal break. The system can also be customized with floor heating cables to create a warm, luxurious tile floor if desired. In addition, DITRA-HEAT-DUO is thin, lightweight, and easy to install, making it ideal for all types of projects: residential or commercial, new construction or renovation. Reduces heat loss to the substrate for up to 70% faster heat-up times over concrete. a warm tiled floor where desired. 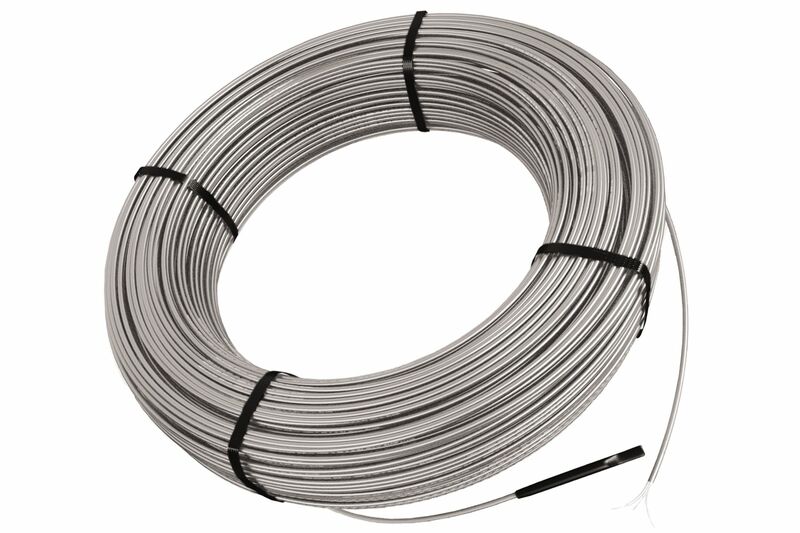 Only 5/16” (8 mm) -thick, DITRA-HEAT-DUO provides the thinnest possible assembly without sacrificing performance. to achieve durable tile installations by preventing cracked tiles and grout. Made of polypropylene, DITRA-HEAT-DUO serves as a waterproofing layer that protects moisture-sensitive substrates, such as plywood/OSB. DITRA-HEAT-DUO provides adequate load support/load distribution for the tile covering. There are specific sound tests recognized by the International Building Code to test each type of sound transmission. However there is no correlation between the two ratings. Sound Transmission Class (STC) - A single number that assesses the ability of a material or assembly to resist airborne sound transfer. Impact Insulation Class (IIC) - A single number that assesses the ability of a material or assembly to resist impact noise transfer. The higher the IIC number, the less sound is heard in the receiving room below. 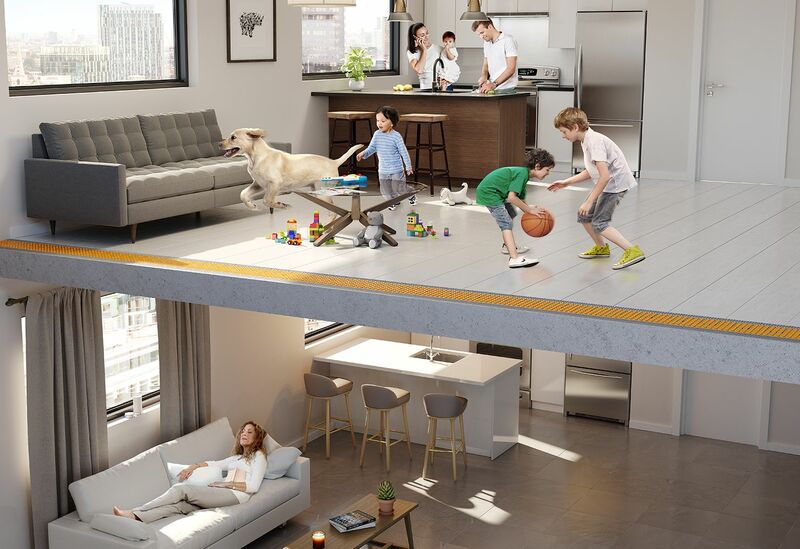 The IIC test method evaluates the whole floor/ceiling structure, from the surface of the floor covering material in the upper unit, all the way to the ceiling in the unit below. It is not a single component test. One common misconception is using IIC numbers to represent the performance of a single sound underlayment. Many underlayments claim high IIC ratings, but be aware of what other materials are used in the assembly to get this IIC rating. A combination of multiple components are required to achieve the IIC value, no one single product will achieve this value. Always check the Delta IIC (∆IIC) rating of a product to see its performance as sound control underlayment. The second common misconception is that doubling up a sound underlayment will double the delta contribution. So if you were to use two underlayments with ΔIIC of 20, you would achieve a ΔIIC of 40. Doubling the thickness of a material won’t double the delta contribution in the assembly. In sound control, the sum is less than the whole. Although doubling may provide a few additional points, it won’t double the IIC rating.